Quality attic finishing will take your drab, forgotten space and turn it into a beautiful room where your family will want to spend time. Turn your best attic finishing ideas into reality. Work with a responsible contractor! Whether you are planning to sell your home and want to make the most out of every inch or you need to expand your usable space to suit your family’s needs, we’ve got you covered. With decade of experience, we know how to create the finished look you want. To get the new room or space you’ve been needing, you don’t necessarily have to knock down walls. All you may need to do is look up. Many homes have attic spaces that are totally usable but just need a little love to make them comfortable. Our skilled contractors know how to listen to what you want to see and turn it into functional and beautiful design. From drywall to flooring, every inch of the surface needs to be seamless to give you the most dramatic results. But we don’t just focus on the major aspects of an attic finishing project. We consider everything from the color of the walls, to the placement of electrical outlets, right down to the door handle. No detail is too small because it’s all part of your complete package. From attic conversions to home additions, we handle all of your renovation needs. We’ve spent the past 10 years mastering our trade and providing clients with top-notch services. As your local attic finishing company, we guarantee to give you results that you’ll love. We take the time to get down to the nitty gritty details before we ever begin work so that every project runs smoothly. Did you know that nearly 95% of the homes located in Greystone have unfinished attics? The architecture in this area called for large, steep roofs that have an enormous amount of unused space in them. 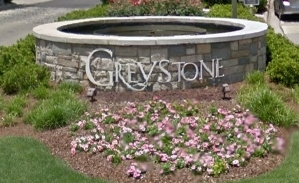 As a Greystone Farms remodeling contractor, we can design and build the living or recreational space of your dreams. Soaring ceilings with expansive floor space can be converted into bedrooms, home theaters, billiards room, home office or any other space that you and your family want. When you want to make a big difference in your home at an affordable price, call us for expert attic finishing. You will add usable square footage and value to your home! We specialize in affordable attic finishing in Birmingham, Hoover, Vestavia and Pelham, AL.